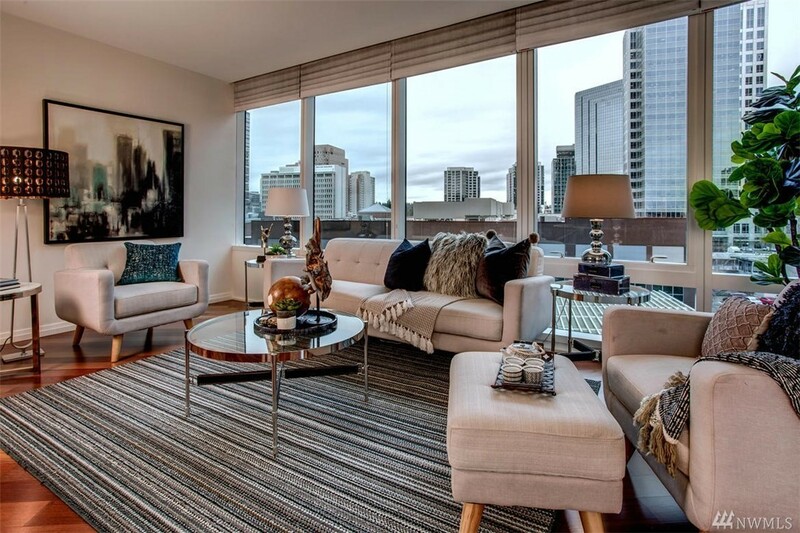 Luxurious Bellevue Towers...premier address in Dntn Bellevue! Very private outlook w/views of half acre urban garden + the city to the north & east, this comfortable END unit enjoys morning sun and soft natural light. Slab granite, Viking and SubZ appliances. Reserved parking, chic amenities: 24-hour concierge service, gym, spa, theater, in/outdoor party amenities! In the heart of all the city life can offer: Refined shopping, 4 Star restaurants, electric evenings! LEED Gold certified building.